I have almost finished my Softie for Mirabel. She is the one below with no face. I still can't decide on the right look for her. I better hurry up! 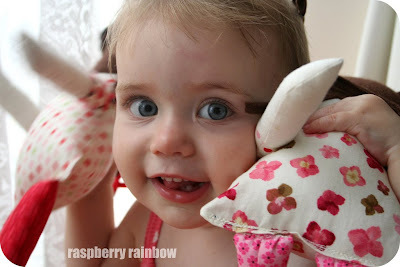 Zoe has been having fun playing with these dolly sisters and giving them lots of cuddles. It is so cute, she is growing up so quickly. Visit kootoyou and pop in to visit so many lovely creative peeps. 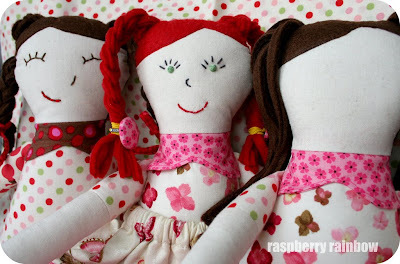 Love the dolls! And those eyes on Zoe!! I love your dollies! 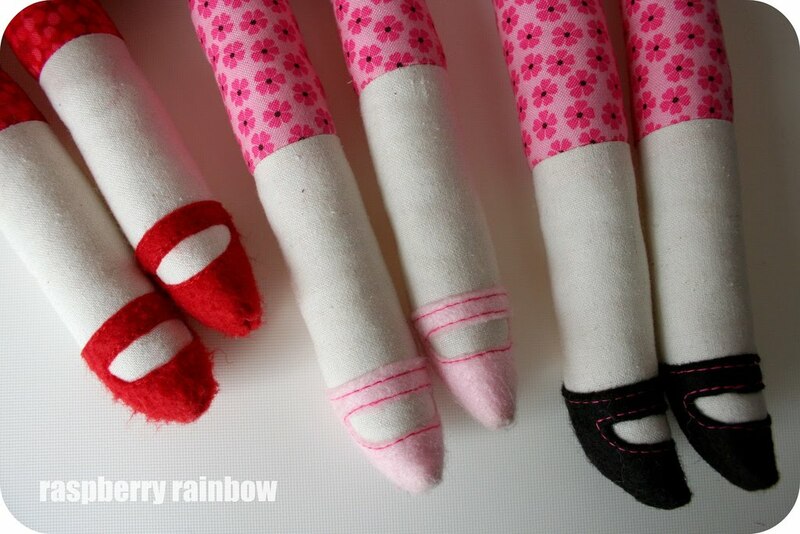 Their little shoes should be the envy of all shoe loving girlies out there. what about Pippi? 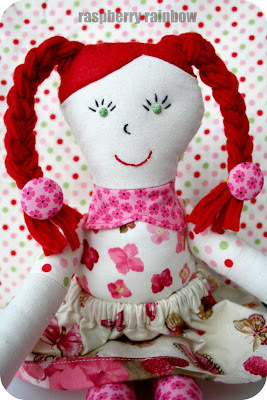 She looks like a little pippi longstocking. well done, just gorgeous (and the doll too! ).